Living on a large body of water or a lake it seems like the elements that Mother Nature can provide are amplified. As the winter comes there are some steps that you will need to take to help protect your lake home from these elements. Some of the harshest winters can be found on some of these lakefront locations. It doesn’t matter if you decide to ride these elements out or if you want to batten down the hatches and wait for spring these precautions will save you time and money when the warmer months arrive. Follow these simple steps to winterize your lake home. No matter which type of roof you have you will need to check it for signs of damage or aging. If you have a shingle roof you will need to make sure there are no cracked shingles that could be blown away which could cause a leak that could mean significant damage. This could be especially bad if snow stays on your roof most of the winter. Make sure to secure or replace the shingle if needed. You can secure a loose shingle by placing silicone under the shingle, and then nail it in place for good measure. If you have a metal roof, make sure you check the screws that hold your roofing materials down. If you have loose or missing screws they will need to be replaced. It is not a bad idea to place a touch of silicon in the screw hole before you put the screws back in. With these precautions you will keep your roof from developing any leaks that could cost you in the spring. Your windows are very important when it comes to stopping air invasion into your home. If your windows are not tight, they could allow the cooler air to invade your home making it difficult to heat. Make sure you check around all of your windows to see if the windows seals and gaskets do not need to be replaced. Check for any daylight that you may see around your windows and window frames. The daylight you see is where air enters your home. Seal these cracks or holes with silicone or caulking. Be sure to check your shutters to see if they are in working order. Closing the shutters before you leave your lake home for the winter will protect your windows from the harsh winter winds that could pound your lake home. This is a very important step that must be taken when preparing any home for the winter. Be sure to stop any leaks that you may have so when you insulate the pipes your insulation will remain dry. It is very important to insulate any exposed pipes that you may have. If your exposed pipes do freeze they will bust when they thaw. A burst pipe is a very costly problem that you will definitely want to avoid at all costs. If you are planning on leaving your lake house for the winter it is also a good idea to drain your well tank. This precaution will prevent your tank from freezing and cracking. It is also a good idea to pour antifreeze down you drains so some of the antifreeze will be trapped in the traps of your drains and will prevent them from freezing and busting. Also you will want to pour some of this antifreeze down your toilets for the same purpose. 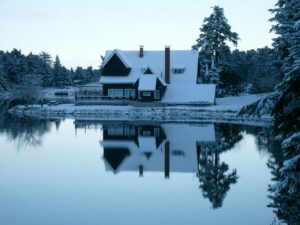 Take these precautions to be sure to winterize your lake home to prevent any damage that could cost you in the spring, that way you can spend your time enjoying the lake instead of working to fix your home! 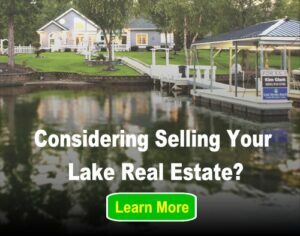 For more Lakehomes.com advice for winter, catch our “How to Prepare for Pipes for Winter” and “Winterizing your Boat” stories and more here. Next post: Should You Consider Refinancing Your Mortgage?